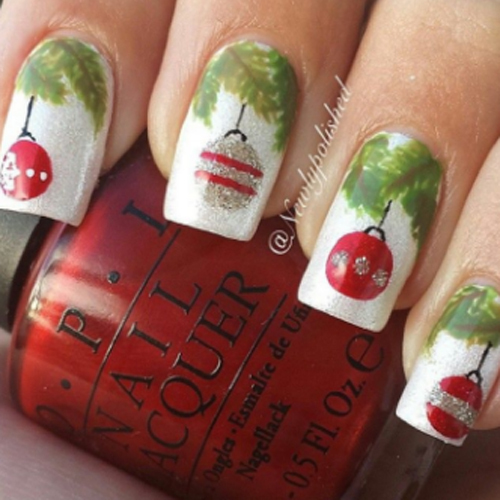 Make sure to stock up on some red, white and green coloured nail polish for this coming festive season! Because we’re going to be using a lot to really set in the mood of everyone’s favourite annual festiva, Christmas. Christmas isn’t Christmas without everyone’s favourite old man, Santa Claus, or Saint Nicholas. Christmas also isn’t Christmas without some tradition in the form of the mistletoe! Get your red because we’re going to need a lot of it. The colour red is essential to the festive seasons colours and therefore it’ll be the main base of this. Toss in some white here and there to add some texture to your nails. 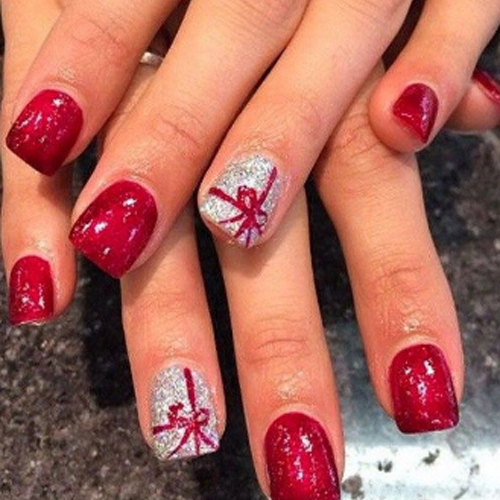 Glitter might not be used as much during Christmas but it never hurt. 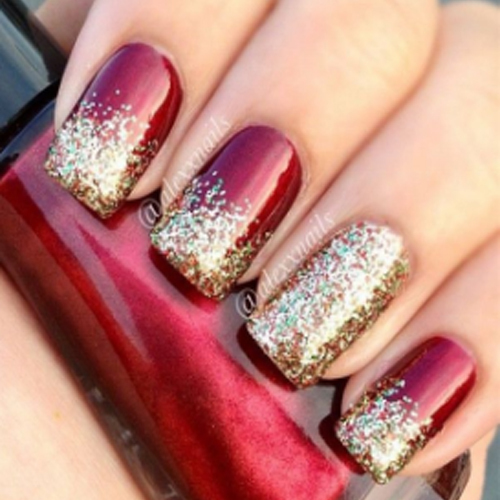 It only makes your nails sparkle even more! Plus, the red and gold colour combo can never not look good. Black and white might be an unorthodox set of colours for Christmas but we say stand out and create your own style. These golden snowflakes on a black base is beautiful nonetheless. This designs rather a mashup of all the colours and designs Christmas has to offer. 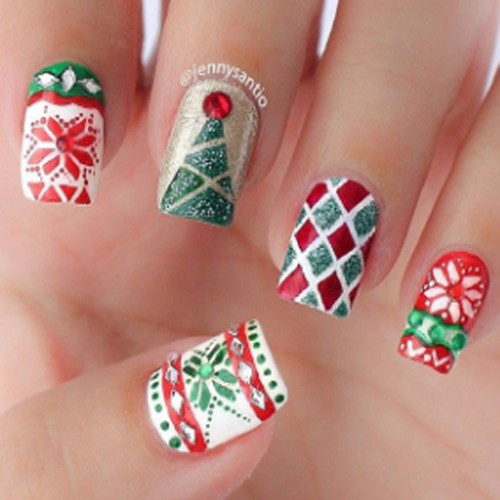 Each nail has a different design and represents a different portion of Christmas. With Christmas comes snow, so get with the going and start dressing for the occasion! Starting with your nails. 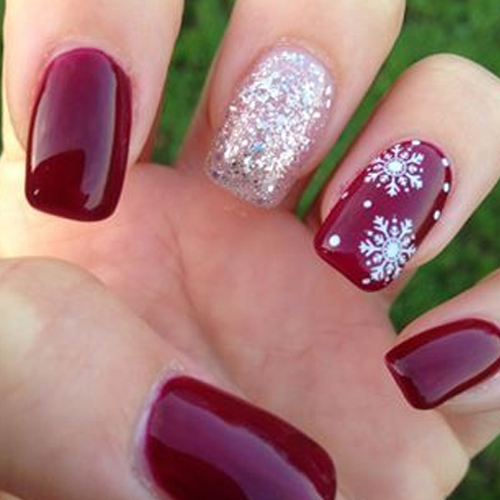 Pain them a beautiful glittery white and add a snowflake on a red base for something interesting. While everyone’s out having the typical red and white nail colours. 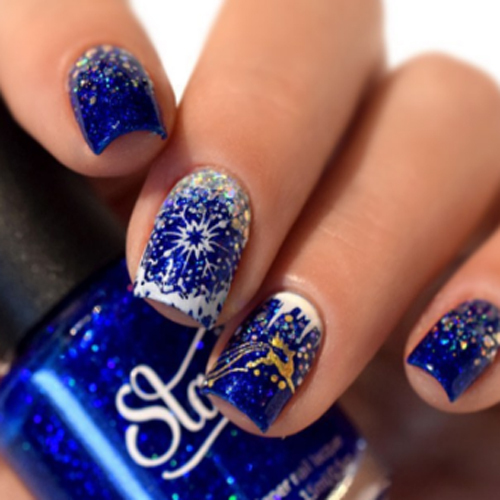 Change the game and have all eyes on your with your beautiful deep blue, white and golden nail colours. This one’s specifically for those who love the ornaments that Christmas has to offer, I know that my favourite part of Christmas is hanging the ornaments on the tree with my friends and family. 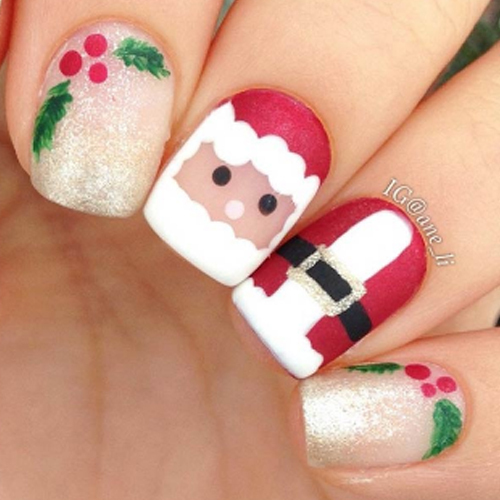 This one could be for the kids as this toenail design is just too adorable! 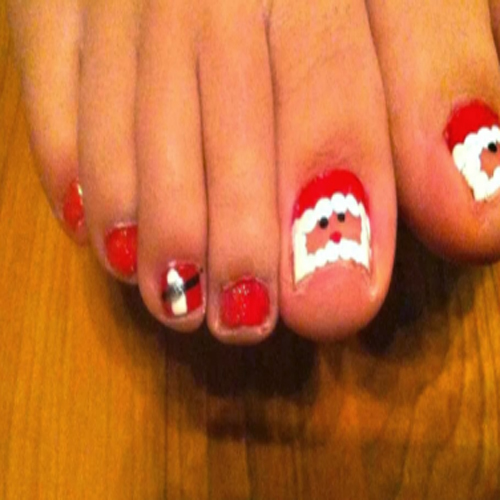 Help your kid paint these on their toes for a great family bonding time.